Great eyebrows can accentuate your eyes, balance and enhance your facial features and give you a more youthful look. 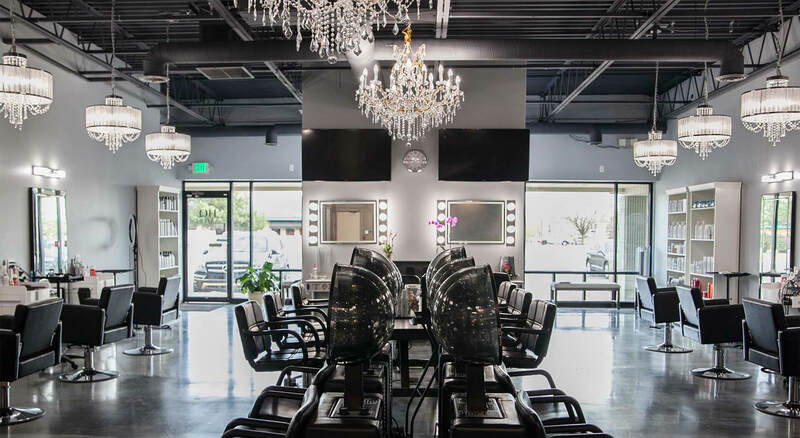 At HQ Salon, our expert Lakewood stylists provide the best in phibrow microblading and ombré brow services to make our clients look and feel their best! Using the latest advancements in semi-permanent eyebrow techniques, our stylists can improve the shape and appearance of your eyebrows, creating impressive, stunning results. Booking Policy for Eyebrow Services: We require a non-refundable $150 deposit to schedule an eyebrow appointment. The deposit will be deducted from the cost of the procedure once it's complete. We require 48 hours’ notice to cancel/reschedule an appointment. To avoid delays and scheduling conflicts, we require clients who are more than 15 minutes late to reschedule their appointments. Rescheduled appointments due to late arrivals will result in a 50% loss of deposit and, therefore, will require and additional $75 fee to schedule the next appointment. What Is Phibrow Microblading? What Are Ombré Brows? Both phibrow microblading and ombré brow treatments are forms of semi-permanent makeup tattoos. Both techniques use forms of tattoo artistry to implant pigment under the skin and provide semi-permanent color and shape enhancements to eyebrows. This table shows the similarities and differences between microblading and ombré brow treatments. Painful? Both techniques feel similar to plucking eyebrows. Topical anesthetic creams can be applied to reduce pain levels for clients who are concerned about pain. Best Candidates Those with over tweezed, thin or fine brows who want a more natural appearance. Those who use makeup to fill in/out their brows. Results last an average of 2 years and can last up to 4 years. Touchups First touchup is recommended within 4 to 6 weeks of initial treatment (after healing is complete & color has fully set in) to fill in lost pigment. After that, getting touchups every 10 to 12 months is recommended. Phifusion is a hybrid of both techniques, combining the manual microblading technique with the machine ombré brow technique. Phifusion can be great for clients with few natural eyebrow hairs, allowing for more hairstrokes to be drawn in while improving volume through shading. If you have had any of these treatments previously (from another artist), the final results may not completely hide the previous work. You may need multiple appointments and treatments for the best results. If you are having an MRI in the future, you must tell the technician that you have been tattooed with iron oxide pigments. How you take care of your brows after microblading or an ombré brow treatment can greatly impact how your brows look – and how long your results last. At least 3 hours after your appointment and right before you go to bed, blot away any fluid secretions to prevent excessive scabbing. During the scabbing period (the first 2 to 3 weeks after treatment), keep scabs dry, moisturizing just enough to keep them “flexible.” The longer scabs remain, the better the color will set. Within the first two weeks following treatment, clean your eyebrows at least twice a day. Make sure you have clean hands and use a clean cotton pad and water to gently cleanse the brows. Next, apply the ointment you get from HQ Salon to your clean brows. Reduce residual pain and swelling by taking over-the-counter pain medications and/or applying a clean icepack (wrapped in a clean towel) to the brows. DO NOT let your eyebrows stay wet or soak in water for long periods of time. You DO NOT want the scabs to get soggy. DO NOT use harsh cleansers, creams or products on your eyebrows for at least 10 days. DO NOT apply makeup to your eyebrows within the first 14 days. Makeup can prevent proper healing, causing irritation and excessive scabbing. DO NOT pick or scratch at scabs or dry skin on or near your eyebrows. Let them fall off naturally. DO NOT tan and limit your sun exposure for 3 to 4 weeks after the treatment. DO NOT engage in exercise or activities that will cause heavy sweating for the first 10 days after treatment. Salt will draw out the pigment. DO NOT sleep on your face within the first 10 days after treatment, and make sure your pillowcase is clean. HQ Salon is a chic, full-service salon offering the best in semi-permanent eyebrow services. Our expert Lakewood stylists are talented eyebrow artists who cater to all types of clients, helping them accentuate their brows’ organic shape while providing them with relaxing, luxurious experiences, personal service and dazzling new looks. We are ready to offer you the best eyebrow and other salon services in and around Lakewood! HQ Salon welcomes all types of clients – women, men and children. Our amazing services and products come with amenities like a beer and wine bar, a snack bar, free parking and free WiFi so we can provide an optimal client experience any and every time you visit us. We look forward to serving you!